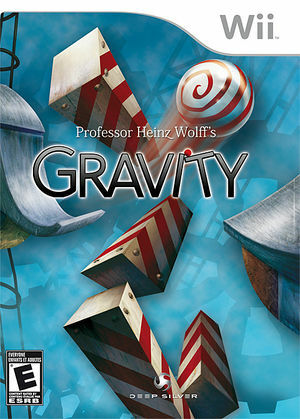 Professor Heinz Wolff's Gravity contains 100 levels packed with physical puzzles. The player needs to place elements in the correct order to reach the next level. Many levels offer different ways of completing, sometimes with surprising results. The game does not contain the dry subject matter of a physic lesson in school, instead the fun aspect dominates. The game becomes accomplished with dozens of high quality hand painted background arts and an atmospheric soundtrack. The graph below charts the compatibility with Professor Heinz Wolff's Gravity since Dolphin's 2.0 release, listing revisions only where a compatibility change occurred. This page was last edited on 5 October 2017, at 21:51.